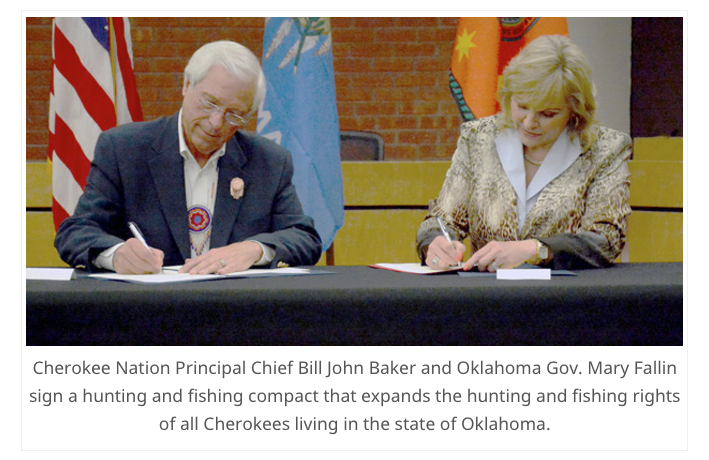 For millennia, we Cherokees have provided for our families by hunting and fishing the lands. Even before European encroachment, it’s how we fed our communities, clothed our children and crafted tools. Hunting and fishing are not simply honored traditions in our Cherokee culture, it’s what kept us alive and sustained us. It is and was our basic way of life. We had full reign of the land when our ancestors lived in the southeast United States, and we retained those rights by an 1828 treaty with the United States that carried over to our removal to present-day Oklahoma.